I had such an incredible time with Yvonne yesterday speaking on Nevis Radio about Finding Joy and Lyme disease. It was an absolute pleasure – thank you so much for having me on your show! So pleased that the local bookshop The Highland Bookshop, Fort Williamare selling Finding Joy. 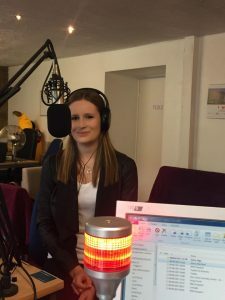 So delighted to have been on BBC Radio Kent this morning to speak about Lyme disease. Thank you to all at the station for making it such a fun experience and to the brave Shirley for sharing her family’s story – I wanted to reach through the phone and hug you, you strong and courageous lady! Wishing you and your family the best. Have a listen on the link bellow. Highlights, Interviews, Radio, Writing courses and book related events. On the 23rd of May I was interviewed by Kaye Adams on BBC Scotland.